I don’t have much to report about this past week. Last week, the kids were sick; this week it was my husband and me. We both felt pretty terrible for a couple days and I still don’t feel great. This led to some weak moments (McDonald’s for dinner Wednesday night). This month, for the first time in almost a year, I made a budget in Excel and am trying to stick to it. This week, with the end of the month approaching, we hit our limits for some categories, like entertainment and restaurants. It’s a test budget; if I go over budget it doesn’t really mean anything. But I want to see how close we can keep to it. It is pouring rain today, and tomorrow won’t be much better, so that may make it difficult to not spend money (example: my oldest has been bugging me to take him to the skating rink). 1. 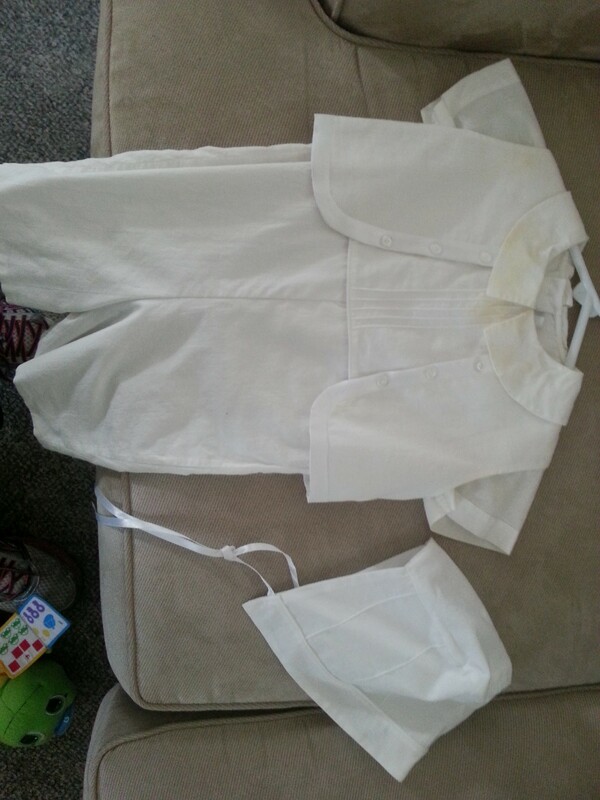 I’m trying to get formula stains out of my son’s christening outfit so that my nephew can wear it next month. 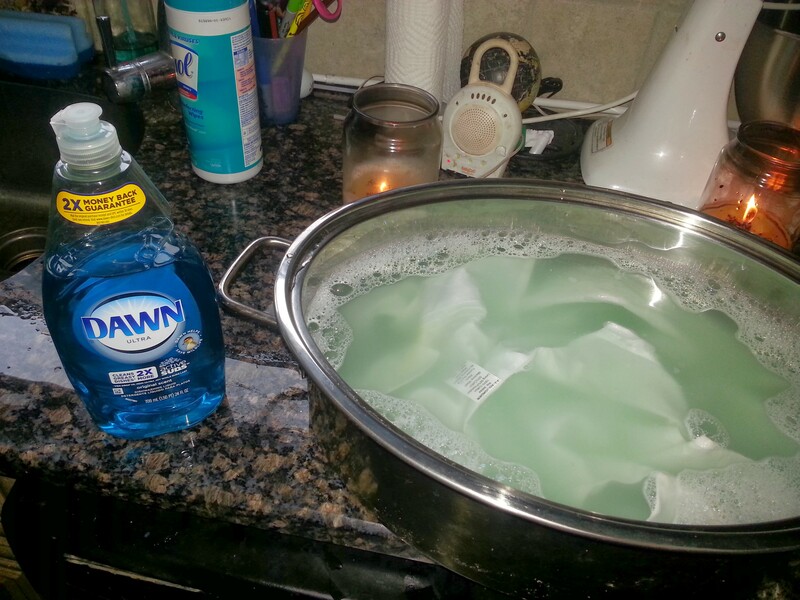 This involved Internet research followed by a special trip to Target for Biz (which is supposed to be like OxiClean but better) and original blue Dawn. We’ll see. 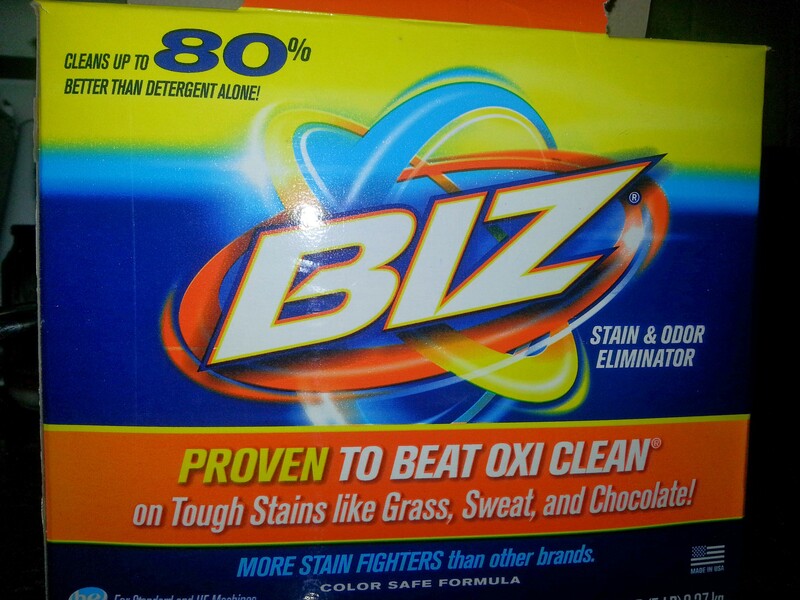 I remember battling formula stains when I was pregnant with my second son, trying to clean up my first son’s clothes, and not having much luck. That’s my turkey roaster, which has never roasted anything, but is good for soaking clothes and sometimes my feet. 2. Garden stuff. 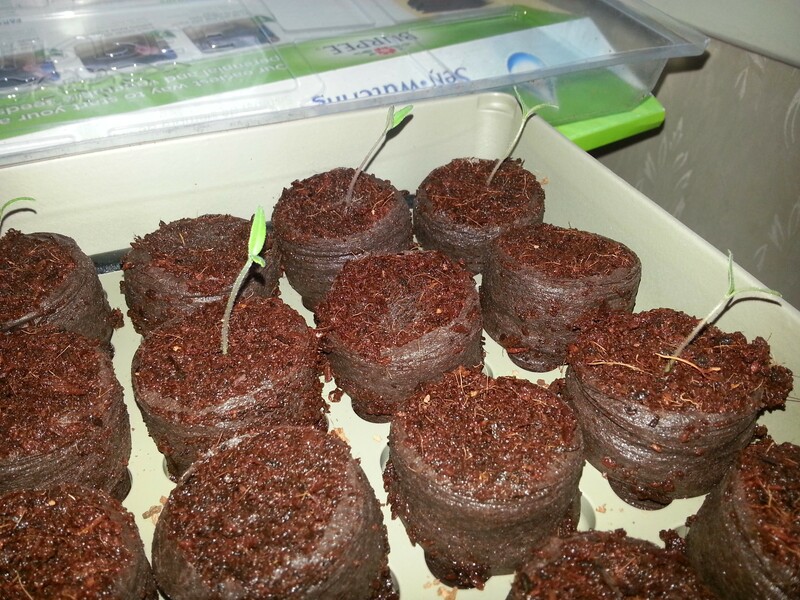 Here are seven tomato seedlings (out of 15 planted). I can’t help but think about two-bite brownies, the kind that supermarket bakeries sell, when I look at this picture. 3. Declutter, declutter, declutter. I finally took all my daughter’s dresses, from age zero to now, out of her closet, to make room for my dresser as part of the second-floor upheaval. 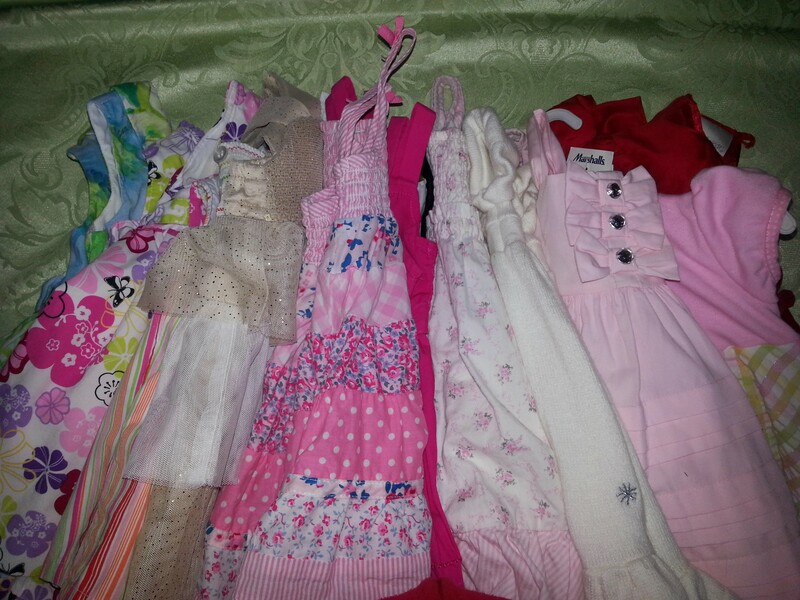 They will probably just go down the cellar with the other boxed-away kid clothes, in hopes I will have a niece someday. I’m not ready to give them away or sell them. The daily decluttering, as opposed to special-project decluttering, feels endless. I have five big-trouble areas: the dining room table, a cart that stands in my kitchen, my desk in the foyer, and the top of the microwave. Oh and the countertops themselves. My husband says I have FSP syndrome (flat surface piling). I have yet to come up with a system or trick to stop these areas from getting out of hand. 4. Figuring out what the hell these kids are going to do all summer.